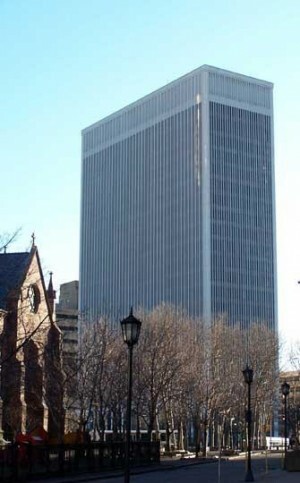 One M&T Plaza is an office tower in Buffalo, New York and home to M&T Bank in Erie County. The 21 floor tubular International style office was built by Minoru Yamasaki with Duane Lyman Associates and completed in 1966. Yamasaki was the architect for the World Trade Center in New York City.